It's Pure Happiness: Its not going to be easy !!! Its not going to be easy !!! So true. 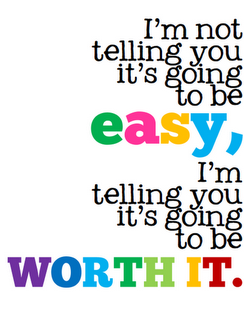 The things that are really worth doing are often not easy to do.